Wintech has assigned a special panel to inspect the site before engaging with the project. 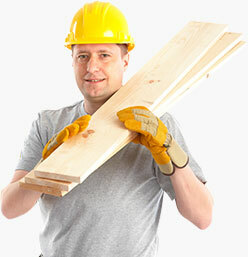 This permits to have an idea of how the work should proceed, utilizing every corner available with the site. Plotting all the essentials, a neat and pure strategy can be incorporated. The most important factor that depicts a company performance is the quality that they abide. Wintech has a team of quality management who are responsible for ensuring that the entire process happens with supreme purity dwelling all their experience to ensure an optimal output. At Wintech, we treat all our clients distinctly as we believe that each one would possess different requirement. Before the commencement of a project, Wintech traverses through the essentials of the requirements of the client to get a precise view of what they are seeking for. Researches are done with respect to their needs. Wintech then incorporates a Plan & Plot strategy that will have phases and clear view of what has to be accomplished in each phase at the most affordable prices. From the time of commencement until the accomplishment of the project, Wintech will assist you precisely at each stage. A panel of experts who have proven their skills forms the base of our organization who are dedicated to serve you understanding your needs. A clear overview is illustrated as of how the project should be performed which marks a perfect order for project planning. Traversing through the needs of each one an exclusive quote will be prepared which will be studded with the best rate thereby saving a huge amount for our clients. Tracking of all events is done regularly so that work progresses in the precise path without fail. Only after analyzing, inspecting the site and blending with ones requirements will Wintech prepare estimation by assessing all possible factors that are essential for the accomplishment of the task. Special care is taken while a quote is prepared so that all the needs are taken into account in the most proficient manner. 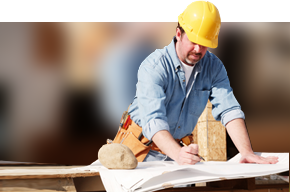 Our Project Managers have the ability to blend projects & sketches for almost all sorts of interior projects with the rates and schedules feasible for our clients. Our experts with supreme quality and tons of experience craft modular workstations to perfection by adhering to elite raw materials. The operation carried out by us is unique and exquisite in all aspects commencing right from the beginning that makes us a stand out from the rest. The “Plan & Plot strategy” is executed by our craftsmen catering your taste in such a manner that it will exceed ones expectations with the elegance blended with the right comfort for one to feel royal. Wintech believes its not just the style which makes an office appealing but the comfort and richness is equally important, hence strives forward to achieve it. Leading MNC’s, Prestigious Banks and other privileged institutions are amongst the list of our blissful customers. The Modular Office Furniture are tailor made to fit your office in the most apt manner by offering various shapes, sizes and designs so that it sprouts the right feel in ones soul. 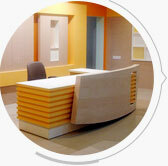 We customize Office Furniture keeping in mind the space constraint of the corporate structure. 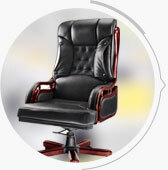 Classy and royal executive chairs designed to get inscribed in ones heart at ease. 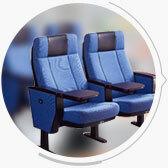 Pure designs and rich collection of chairs is one uniqueness with which Wintech services our customers. Our rare feature which distinguishes us from the rest is the quality which we dwell ourselves into as the designs which we mold are so creative that it will leave all spell bound with its natural elegance. Sizes and shapes of the chairs to fit the office space precisely are amalgamated to perfection through the hands of our experts. Wintech has all chairs to meet the needs of all the different hierarchy of peoples be it for director office chairs, revolving chairs or ergonomic office chairs, we have supreme quality products at elite prices. 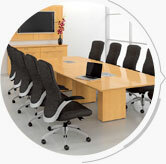 Our executive chairs provide a comfortable place to sit and quality construction that is made to last. 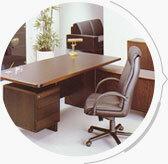 Only high quality materials are used in the construction of all corporate chairs and office furniture in our catalog. From the leather on our high back executive chairs to the steel, synthetic materials, and even the nails, our designers carefully select quality materials for durability that will provide years of reliable use. 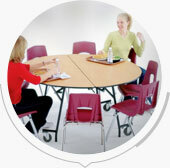 Elite materials are chosen and molded to carve our wide range of cafeteria chair and table. 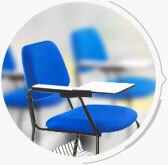 To soothe ones minds and sprout fresh ideas we design classroom chairs with utmost care and precision, which blooms a feel of freshness to all. 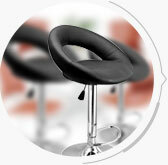 We use various high-grade materials while manufacturing our range of cafeteria chair and table. We design and supply a vast variant of Conference Tables that are carved out from elite quality raw materials. The tables are so reliable that it will remain shining with all its glory even after a number of years. Exclusive ranges meeting all the essential standards are abided within us that aids us to produce a wide range of conference tables that supplements to the decor of boardrooms and meeting rooms. These tables are versatile with their progressive styling amalgamated with innovative designs. Designed to perfection, these tables have smooth edges and fine finish. Pure classes incorporated with exquisite designing skills by our professionals have produced tables which renders a glow of freshness spreading to all. These tables are available in various styles and sizes and provide maximum satisfaction to clients. To make your workplace rich Wintech designs computer tables that are specially carved to cater your official needs. 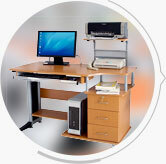 To offer exclusively handcrafted desk furniture that are designed with a class of Wintech, which leaves all spellbound. Wide variety of reception tables with eye-catching designs studded with specially crafted brilliance of Wintech guarantees elegance. To have a luxurious feel and reside royally while you work, Wintech designs and creates sofas, which are royal, and renders you a feel of lightness while you are busy with your hectic schedules at office. They are designed to meet peoples of all distinctions as we have experts in our panel who have proven their worth over the years with their brilliance. One has to have the leisure and comfort to soothe ones souls while at work. We understand the importance of offering comfort and richness as it will allow one to feel light and work royal. Our organization is a leading firm engaged in manufacturing and supplying of Office Sofas and Swivel Leather Chairs, which are made using high quality foam and leather. 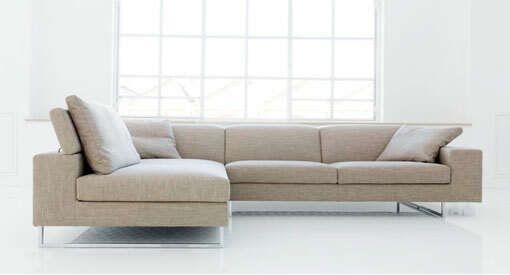 These sofas and chairs are elegantly designed and provides comfortable sitting. 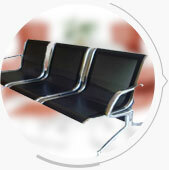 The offered range of sofas and chairs has wide usage in Offices of Government and Private Sectors. To ensure complete customer satisfaction, the team of quality controllers conducts quality tests on the procured items. 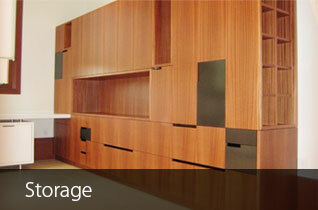 Perfect storage facilities to suit your office are crafted by Wintech, which ensures quality, reliability and luxury. 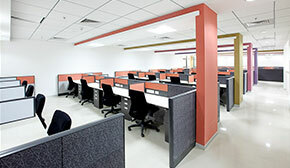 One can choose from wide variants of credenzas, vertical or horizontal file cabinets, office storage, lateral file cabinet for legal or letter size, in metal wooden, wood file cabinets or mobile and fireproof file cabinets with locking options office that are inscribed with the grace of our perfect skill. Our experts have the greatest ability to sketch elite storage cabinets that will meet out the trendiest of offices by offering a warm and fresh feel. Copyright © 2013 wintechcorp.co.in All rights reserved.